A lot can be said about our life-giving water here on Earth. Still, I never imagined that one of those things would be: dang, you are OLD! Scientists from Harvard, the University of Exeter, Carnegie Institution of Washington, and the University of Michigan (alma mater, woot!) recently published a study in Science confirming that the water we have here on Earth is older than the sun and the solar system. Science is amazing, isn’t it? The researchers examined the gases, ice, and dust that existed at the time the sun formed and identified how much of those elements existed in the earth. In so doing, they realized that Earth’s water had to come from someplace else — someplace that existed before the sun. When you realize that planets like Saturn have 60 moons, and Jupiter has 63, you have to wonder whether moons can have their own moons. Saturn’s satelite Titan is larger than the planet Mercury, so it’s not hard to imagine another rock circling it. Fraser Cain, publisher of Universe Today, one of my favorite space publications, tackled this question, and has dashed my hopes of discovering an infinite series of moons. It turns out that a moon can’t have a moon—unless some specific stuff is going on, which we’ll talk about later. At least the reasons this can’t happen are interesting, and that makes everything okay. Apparently, “moon” has no explicit definition. If you look it up, you’ll find references to Earth’s Moon, but no official definition about what moons are in general. I thought science had this stuff nailed down. Moons do have some consistent attributes, though: they’re whole, sold objects that orbit around a bigger body, probably a planet, probably orbiting a star. Whatever the moon orbits is orbiting something else, etc. Technically, the Moon does have a moon, or at least something distinct orbiting it: NASA’s Lunar Reconnaissance Orbiter, which has been circling and photographing our Moon since 2009. 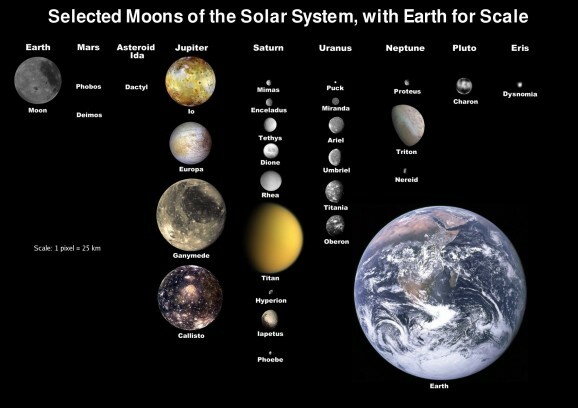 But its lifespan is limited, and sheds light on why no moons in our Solar System can have their own satellites. It’s hard to look at space-related news without seeing a mention of a newly discovered potentially habitable planet, or the latest calculation of just how many Earth-like planets may exist out there. All sorts of factors contribute to a planet’s habitability, including its location relative to its host star. “Goldilocks” planets are those that orbit close enough to a star to be warm enough to support life and liquid water, but aren’t too close to the sun to frizzle fry life forms. Most of the time, when astronomers, with the help of the Kepler telescope, find potentially habitable planets, they’re about the size and mass of Earth. 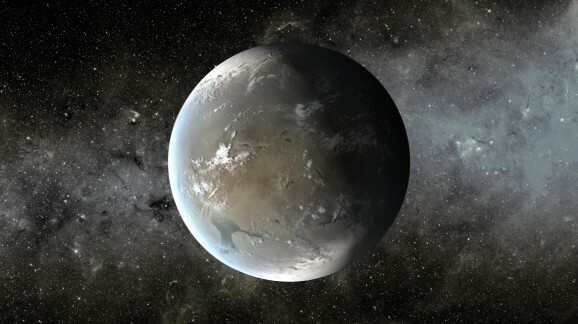 But a new study suggests that planets bigger than Earth could actually be more conducive to life than Earth. Scientists call potentially habitable planets double or triple the size of Earth “super-Earths” and have concluded that they may be “superhabitable.” In a paper published in Astrobiology, astronomers suggest that bigger might actually be better in the case of habitability because tectonic activity on larger planets takes longer to happen, which reduces the likelihood of frequent and sudden earthquakes and other disruptive or destructive events. The fewer and less frequent the tectonic shifts, the more stable the planet and the longer life has to get a foothold and start to flourish. Bigger planets also tend to have thicker atmosphere, which can help promote life-enhancing weather systems and shielding against radiation and solar flares. Scientists consider Jupiter’s moon Europa one of the best candidates for harboring alien life in the solar system. Its atmosphere is mostly made up of oxygen and it has a smooth surface of ice (not to mention a rocky mantle and likely an iron core — sound familiar?). Based on data gathered by the Galileo spacecraft, which arrived at the Jovian moon in 1995, scientists theorize that under Europa’s icy surface exists an ocean of water, kept liquid by heat generated from tidal forces. 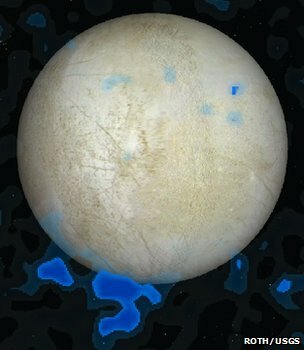 Recent evidence published in the Science Express journal lends support to this theory, as data from the Hubble indicates plumes of water vapor at Europa’s south pole, suggesting that there is indeed liquid water under the surface. 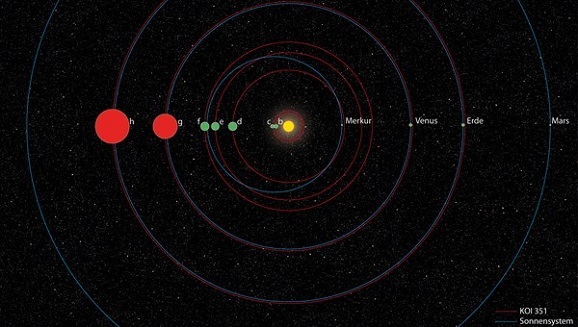 While we Earthbound creatures can still take pleasure in knowing we’re the only known living beings in the universe, we can no longer be so proud of our unique solar system, as European astronomers have discovered another planetary system that looks remarkably like our own, and is the first of its kind to be found. It isn’t an identical twin to our own, but I’m pretty sure we could make a cool “standing on opposite sides of a doorway” mirror illusion with it. As you can probably imagine, this information was gleaned from the mounds of data collected by the Kepler space telescope before it malfunctioned earlier this year. The system is called KOI-351, and it features seven exoplanets. 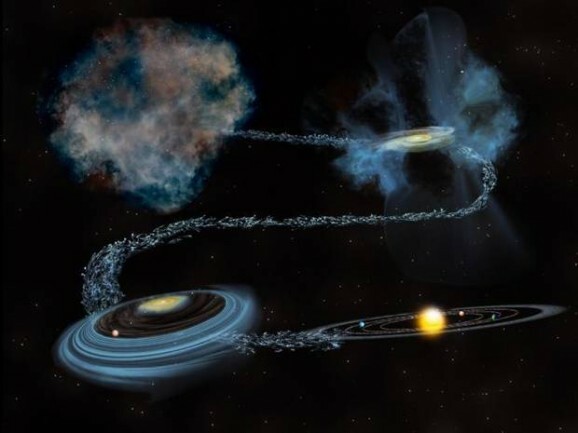 Scientists are hopeful it could give them a better idea of how these planetary systems form, since the jury is still out on that one. As you’ve probably heard by now (and definitely heard if you’re a regular GFR reader), the Kepler telescope’s (RIP) search for potentially habitable planets has been wildly successful. There are thousands of planets that might support life, but the bad news is that most of these are millions or billions of light years away, which means that in order for that to do us any good, we’d need to master manned interstellar travel, which is going to take us some time. But a recent discovery might change all that. Thanks to Kepler data, scientists have discovered that there are a bunch — possibly even billions — of Earth-like planets inside our own Milky Way. 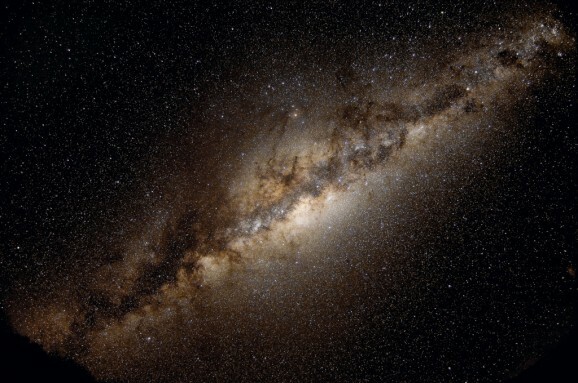 The Milky Way has somewhere around 200 billion stars. Astronomers estimate that one in every five of these stars has at least one planet orbiting around it that is the right temperature to support the existence of liquid water on its surface, and thus, life. That’s at least 40 billion planets, and maybe far more. Of those 200 billion stars, roughly 40 billion are similar to the Sun, which means that those stars support at least 8 billion planets, and maybe more.